Truly, American music has its roots in the joyous sounds of bluegrass. 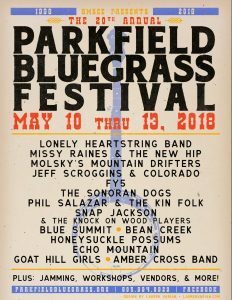 This is music that sprang from the backwoods and traveled through the heartland to become folk and soul, country and western, and eventually rock and roll. It is music to be shared, to be played and sang by anyone who listens. It’s the music of the people of America. 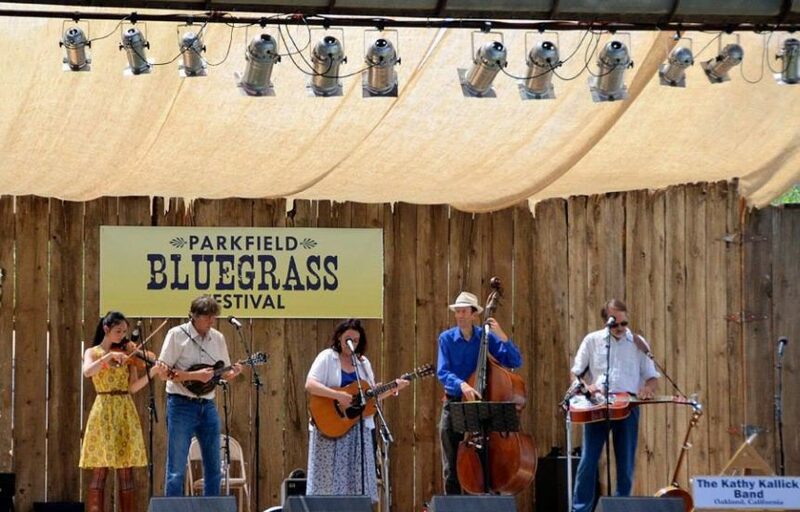 themselves and guests with some of the best guitar and banjo sounds west of Nashville. We’ve talked about Parkfield before – it’s one of my favorite places to visit. It’s a quiet and quaint wide spot in the road located in the central coast mountains between Paso Robles and Coalinga. There’s a wonderful little restaurant with outstanding meals, featuring beef raised on the V6 ranch nearby, and a log cabin lodge with a dozen or so rooms. The town has 18 residents, not counting horses and cattle, but it grows to thousands during the festival. Most of the visitors camp near the rodeo grounds or out in nearby fields that are opened up for them. The festival rocks with live bands that play all day on an outdoor stage and at night fans enjoy late night sets in the Parkfield Cafe. Out in the campgrounds, attendees camp with the performers, and music goes on around the clock, with campfire serenades from some of the best west coast bluegrass performers. There are workshops on a variety of instruments and a music camp for kids – this is a family affair, with everyone and all ages welcome. For more information, point your web browser to parkfield.com. You’ll see information on all of the events going on in Parkfield, which, for a town of only 18 people. is quite a bit. Come on out – We’ll be there!